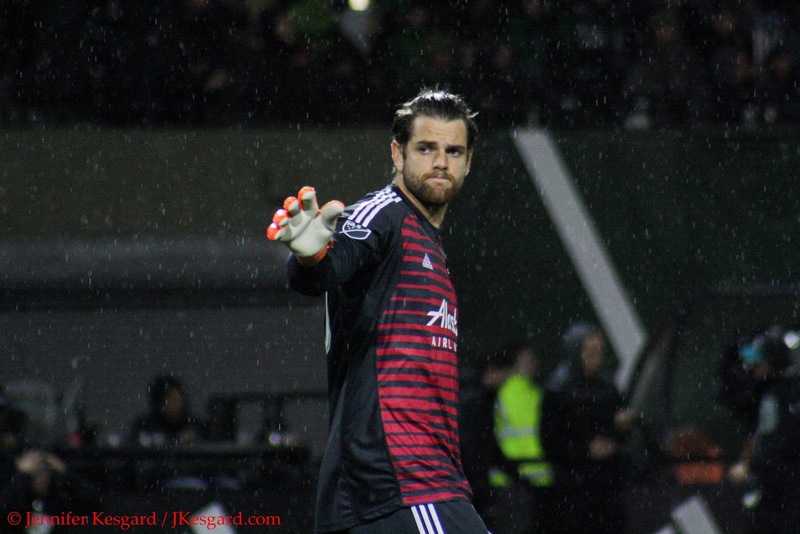 Now that the season has started, I'm going to take on more of what I like doing after Portland Timbers matches - analysis. But I tend to take a very non-traditional look at matches as well, and am more focused upon the "eye test". I attempted to do this last season, but I didn't like the approach so I'm going back to the drawing board. Starting each week after a Timbers match - and yes, I'm going to start doing this for road matches where I'm able to watch - I want to go over the things I liked, the things I didn't and a 1 sentence evaluation for everyone that appeared in the Timbers match. The evaluations that I've done for my previous outlet got very complex over the years, and I believe I can make it easier. The scores will still run from 1 to 10 with 5 being the benchmark of doing the job credibly, with marks up or down depending on the overall performance. 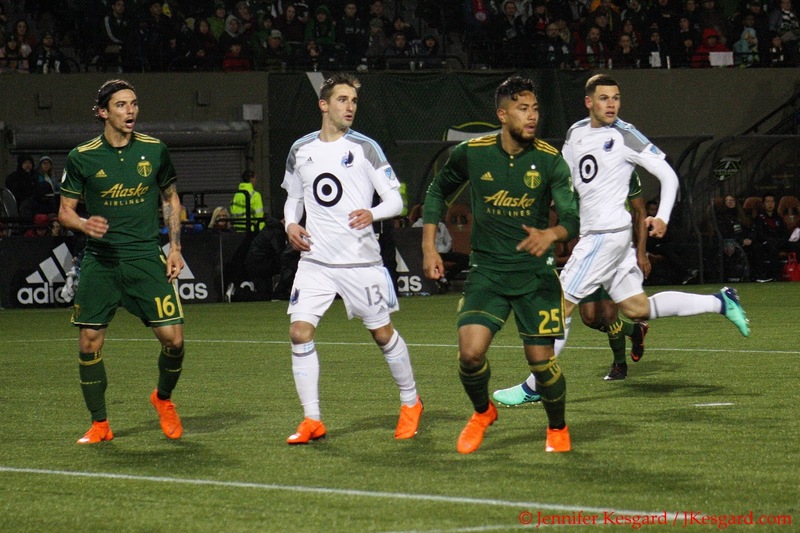 From my standpoint just watching the Timbers 3 to 2 victory over Minnesota United, there was plenty to like as the team got their first win of 2018 in dramatic fashion. The things I didn't like, however, turned a match that appeared to be a runaway at several points into a nail-biting affair. Minnesota is a much improved group from the one that the Timbers blew out to start the 2017 MLS campaign, but I am openly worried if they would have had a healthy Kevin Molino available, the results could have been decidedly different. MNUFC Coach Adrian Heath didn't appear to have a strategy to deal with the Timbers' "Christmas Tree" formation - 4 defenders, 3 defensive midfielders, 2 attacking midfielders and 1 forward - but his adjustments at the break appeared to throw off Portland as they weren't able to get forward and attack nearly as much as they did in the first 45 minutes. 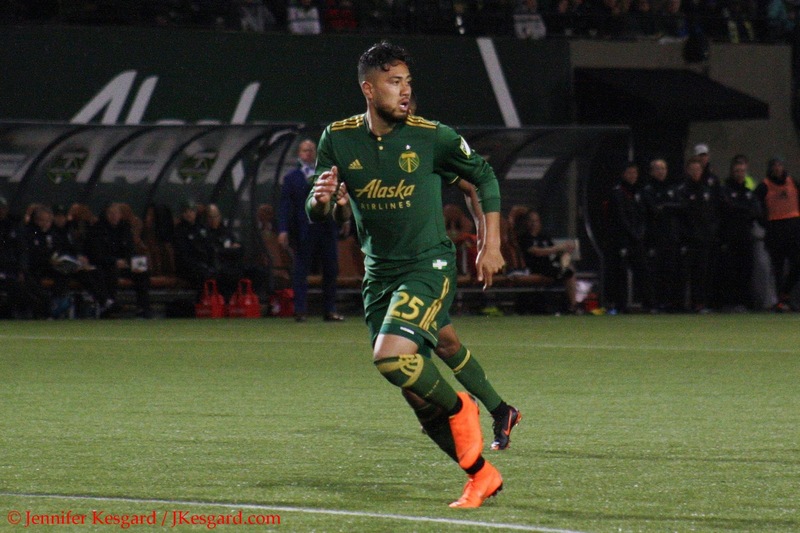 I can't imagine Timbers Coach Gio Savarese sticking with the 4-3-2-1 once David Guzman is back and healthy, as that would mean sitting one of the Timbers young attackers to adjust. A defensive midfield of Guzman, Diego Chara and Cristhian Paredes would be incredibly stout, but that then means leaving Andy Polo, Dairon Asprilla or Victor Arboleda (when he's with the first team) on the bench if the attacking trio remains Diego Valeri, Sebastian Blanco and either Fanendo Adi or Samuel Armenteros. Heath effectively replaced defender Marc Burch, a traditional backline defender, with Carter Manley at halftime. Burch can get forward, and showed on a few occasions he can be an effective crosser of the ball. But Manley is more dynamic in his ability to get forward, and he can cover ground in the middle, so making this update effectively forced the Timbers to leave their backline more at home. Alvas Powell was pouring forward at will for the first 45 minutes, and his 1 goal and 1 assist performance was not only one of his best efforts of his career, but he earned the Allcatel MLS Player of the Week Award for Week 7. In the interest of full disclosure, I'm a member of the North American Soccer Reporters, the group that votes on this honor each week, and Powell was among the players I was considering to put my vote for. However, when Manley came on, the move forced Powell to stay more at home with the backline - and the offense and defense both suffered. Powell isn't a traditional stand up defender and there were plenty of situations where Powell wasn't in sync with the rest of the backline. It's really up to your goalkeeper or backline leader to organize the defense, and honestly, I didn't see any of the group step into that leadership role. Had Minnesota been a bit more efficient with their attack considering the scattered defense late, we might have seen a different result. 1. First Half Alvas Powell: When Powell is aggressive yet able to provide support to the defense, good things tend to happen. The offense depends upon fullbacks getting forward to provide crosses and an outlet, and of the backs on the roster, Powell fills this role the best right now. 2. Diego Chara: Nearly 90 percent passing accuracy, 5 tackles, 2 fouls won and a chance created, Chara has returned from his injury and resumed his form of solid defensive midfielder. He creates chances, annoy the opposition, creates turnovers and disrupts the other side better than most other players. Having him back has really given the team a big boost. 3. Sebastian Blanco: It's great to see Diego Valeri start to find his scoring form and creativity, but for me, the MVP for early 2018 Timbers is Blanco and we saw vintage Blanco. He led the team in chances created and his versatility is a huge asset - he can attack from all sides and parts of the pitch with either foot. He's also become the emotional leader of the team, and I believe the team feeds off his ferocity. 1. Second Half Powell: We saw the good version of Alvas but then we saw a second half where he was forced to defend more and work within the defense. There was too much tentative play in marking for my liking, but that's the rub with Alvas - you get the good along with the bad, sometimes even within the same match. 2. Jake Gleeson's Command Of the Goalbox: Gleeson is one of the most athletic keepers out there, plus he is very good at quick reactions. However, force him to make a decision and it's a crapshoot what might happen. What concerned me in this match was that after conceding goal 1 to Darwin Quintero, Gleeson got very tentative about doing anything and it led to a wild stretch run. The Timbers need a confident and vocal keeper, and I'm wondering if Gleeson really is that guy in the long run. 3. Leadership Of The Team: I'm convinced Savarese is the right coach for the Timbers, but leadership within the team remains a question. I know that Valeri is the creative leader and Blanco is the emotional leader, but when things get tough on the pitch, who on the side is the leader to rally around? I'd like to think it's Valeri, but the last 25 minutes, I wanted somebody to step in and help ease the frayed edges collectively and it didn't happen. Someone needs to emerge as the rallying point for this group and soon. GK Jake Gleeson (90 minutes): 3. Made saves when necessary, but the timid Gleeson late really struggled to help his side and did just enough to secure victory. D Zarek Valentin (90 minutes): 5. With Powell forward much of the match, Zarek was flanked back to aid the center backs and did a reasonable job in thwarting various runs. D Larrys Mabiala (90 minutes): 5. Did reasonably well with distribution and covered marks well, but did have some unforced errors as well. D Bill Tuiloma (90 minutes): 6. While responsible for the own goal for Minnesota, I thought Bill was the most stout and organized defender along the backline. D Alvas Powell (90 minutes): 4. Up and down Alvas on full display; when he was good, he was very good, but when he was bad, he struggled. D Marco Farfan (1 minute, brought on for Blanco in 89th minute): 5. Late substitute to reinforce the backline. M Andy Polo (75 minutes, replaced by Andres Flores at 75th minute): 7. His speed was a huge component of the successful first half for the Timbers, but he was neutralized heavily in the second half. Chara gonna Chara. And he's very good at it. M Andres Flores (15 minutes, brought on for Polo in 75th minute): 5. 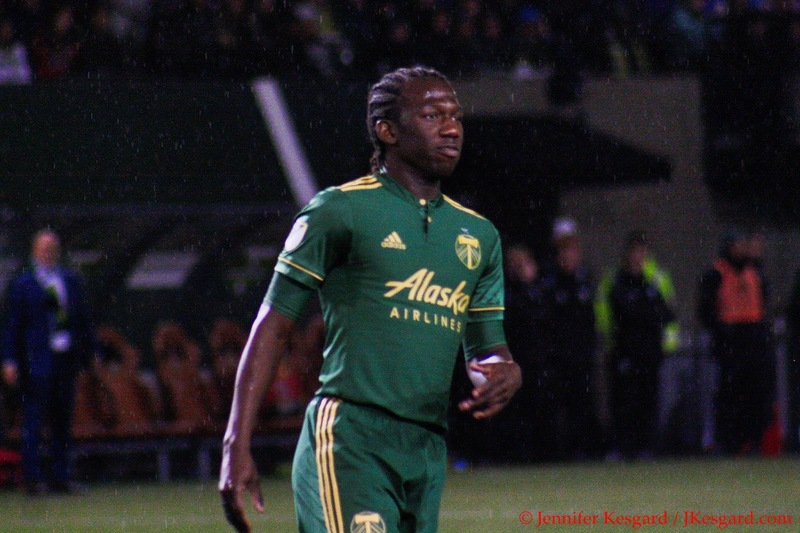 The Timbers utility player came on late and did a little bit of everything late. M Diego Chara (90 minutes): 8. Major disruptive force for the Timbers as always. M Cristhian Paredes (90 minutes): 6. The more I see of Parades, the more impressed I am considering he's just 19 years old and starting his career in MLS. M Diego Valeri (89 minutes, replaced by Samuel Armenteros in stoppage): 7. His goal in the first half was simply sublime, and I hope to see more of that from the Maestro. M Sebastian Blanco (89 minutes, replaced by Marco Farfan in 89th minute): 7. Most consistently dangerous player for Portland all evening. F Fanendo Adi (90 minutes): 6. Nearly tallied a brace for his efforts, but it was the most dangerous we've seen Adi in some time. F Samuel Armenteros (1 minute, replacing Valeri in stoppage): 5. Late substitute brought on to run down the clock. Coaching Staff: 5. Impressive to get their first win, but I didn't like second half adjustments to counter Manley's insertion as the Timbers offense lacked precision. Overall Timbers Score: 6. It wasn't pretty if you look at the full 90, but the first half was impressive enough to move this past the midline mark. Snarktography: Priceless. It's always good to see what Jennifer comes up with each week photo wise.